Nashville's premier progressive rock band, Froskull captures a technical eloquence, a dynamic caprice, and an aggressively cosmopolitan style that defies easy classification. 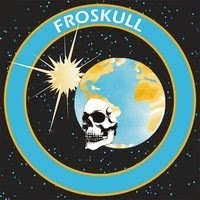 Froskull's holistic musical style has placed them in the spotlight of Jazz, Fusion, and Rock talk shows. Froskull has shared the stage with a spectrum of artists: from Nashville Country stars Chris Young and Lee Brice to Rock and Roll legend Derek St.Holmes. Though nothing short of a fastidious progressive rock band, Froskull's wild expressiveness and "pan-genre" feel emote with average listeners while provoking more particular music lovers to lend an ear.